The Spinners is a soul music vocal group, active under that name since 1961, and popular with a long run of pop and R&B hits during the 1970s. The group, originating from Detroit, still tours regularly as of 2010[update]. 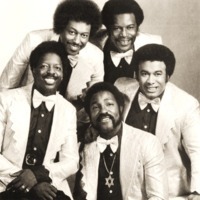 The band is also listed occasionally as The Motown Spinners, or (after they left the Motown label) as Detroit Spinners. These group monikers were used in the UK to avoid confusion with a British group also called The Spinners.